CBS might be open to taking on another superhero show—but for now, the CW is full-up on superpowered television series, at least according to its president. Turns out you can have too much of a good thing, sometimes. There are no real discussions about any more superhero characters. We have built a universe where we get to see all of these characters interact with each other and we’re proud of that. But at this time, there aren’t any discussions for adding anything else to that. When Supergirl became available, I picked it up immediately. It is now a part of our universe thanks to The Flash and the crossover from last season. It fits. It’s now very much embedded in our DNA and we’re proud of it. It might be sad news for people who were looking for even more DC shows, but it’s understandable—the fact that we even has a single channel that not only has four solid comic book shows, but four shows that intermingle and are part of a cohesive, interconnected universe, is pretty remarkable. Anything more might start to stretch that universe (and the production team behind it) to its limits. That’s not to say the CW won’t change its mind in the future—considering the crazy amount of characters coming to its current shows, with everything from Superman, to Miss Martian, to the Legion of Doom or to the Justice Society on their way, maybe in the future they might see fit to break out one of those elements into their own show. 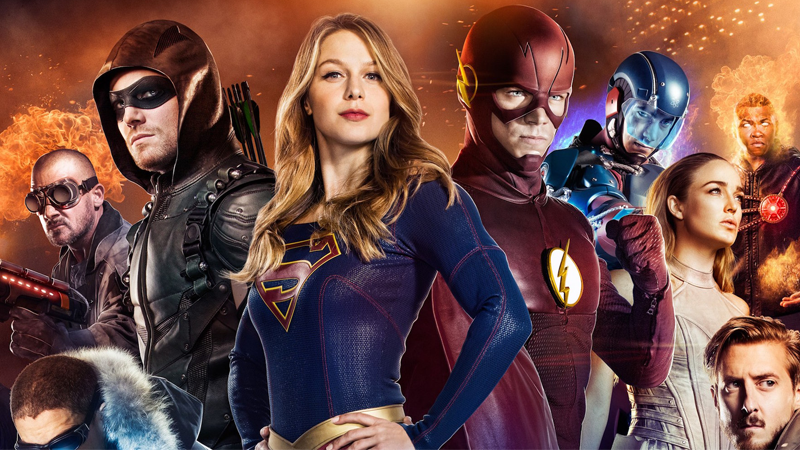 But for now, Supergirl, Flash, Arrow, and Legends of Tomorrow are all you’re getting on the CW/DC TV universe.